It was bread week on The Great British Bake Off and there were bread puns aplenty as Mel and Sue opened the show on a (bread) roll and wearing loafers – you can’t help but giggle! Paul’s bread prodding finger was primed and ready to go. This week I made an Eight Strand Plaited Loaf and you can find the recipe at the end of this post. 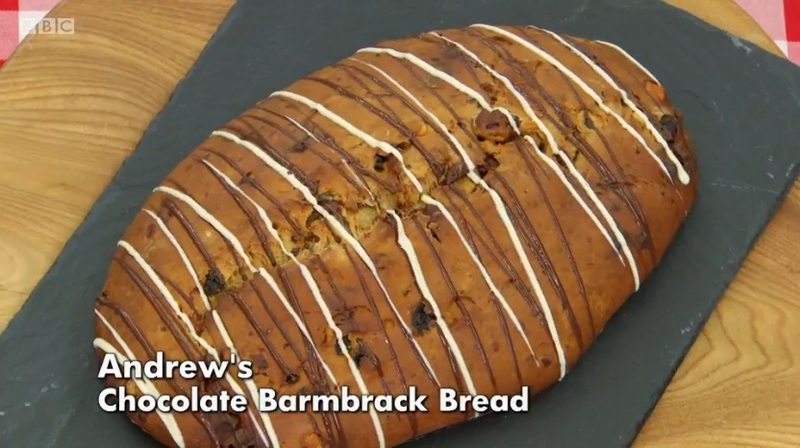 The signature challenge was to make a chocolate bread, which could be cocoa powder, chocolate chips or molten chocolate. Mary was excited as it was a new challenge. Paul said the time was very tight but he didn’t want to see any raw dough. Everyone chose to make an enriched dough which was quite brave as they only had 2 and a half hours to make them. I don’t know how they did it to be honest as enriched doughs take me at least a day! 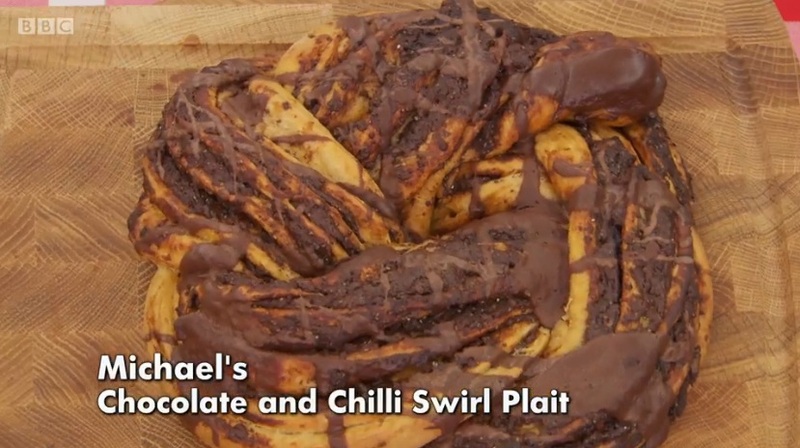 There were some great flavour combinations from the bakers – Rav made a chocolate, cardamom and hazlenut bread. 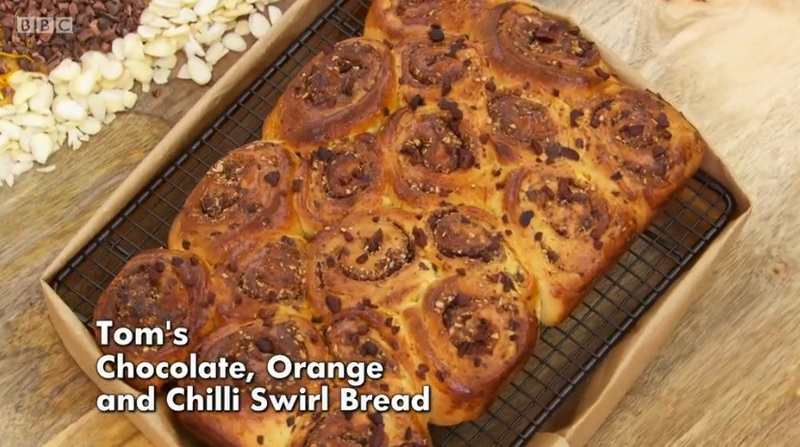 Tom made a chocolate, orange and chilli swirl bread. And Benjamina made a chocolate, tahini and almond bread. Andrew was the only baker to prove his dough once, Paul was judgemental of this at first but when he tasted the bread he loved it and said Andrew had done the right thing by only proving it once. Benjamina’s chocolate bread was not cooked all the way through and neither was Val’s, Kate’s or Michael’s. Candice’s bread was practically raw and she got quite upset as the judges couldn’t even taste it. Tom and Rav both did very well on both flavour and their breads were full baked. This week’s technical challenge was rather unusual and very much unheard of (unless you’re German!) It was a steamed dumpling called a Dampfnudel served with custard and a plum sauce. The dumplings are steamed instead of baked and Paul explained that the bakers should be careful not to lift the lid off the pan during the steaming process. None of the bakers had heard of dampfnudel before, and they had not been given any timings for proving or steaming. So it was all guess work and they had to use their baking experience to figure out what to do. The main problem most of them had was the dough being burnt on the bottom, or being undercooked. Rav came last, followed by Jane and then Kate, Michael, Benjamina, Selasi and Tom. Candice came third, Andrew second and Val first. A savoury plaited centerpiece, any shape or size, 3 flours within it. Mary said it had to be spectacular. Paul said the strands of the plaits have to be the shape width. 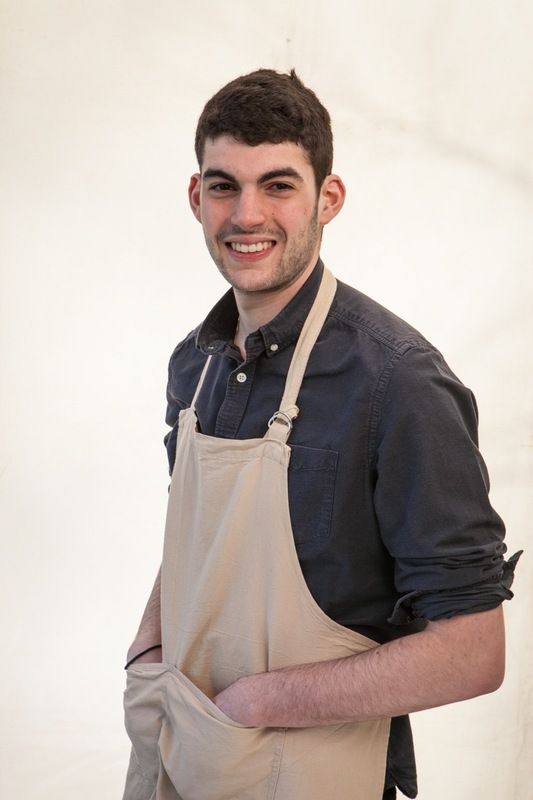 He also mentioned that the star baker of bread week always goes onto be in the final, who knew! 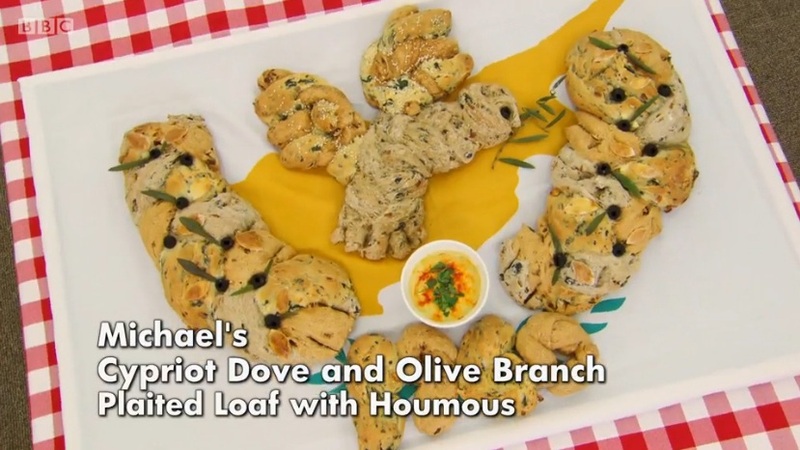 Michael made a Cypriot inspired bread with olives, coriander and sundried tomatoes. 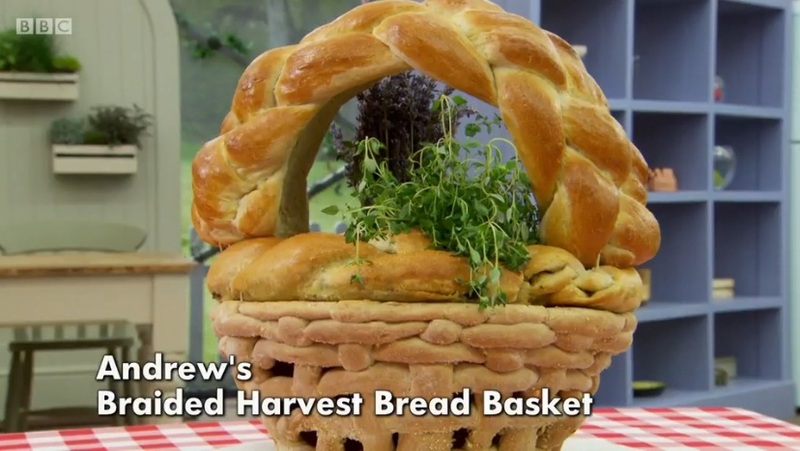 Andrew made a braided basket flavoured with pesto and a giant handle for it flavoured with orange and cardamom. 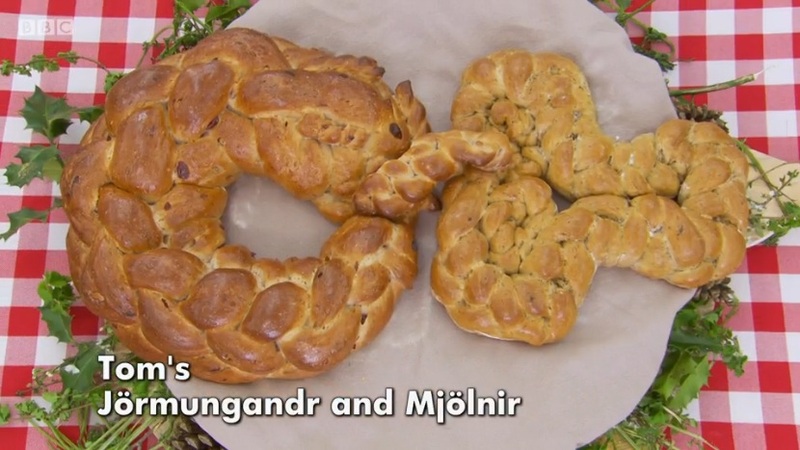 Tom went all norse on us with his Jormungandr and Mjolnir bread (or a serpent and Thor’s hammer to you and me), and he flavoured it with seaweed. Selasi basically made up a story to go with his centerpiece which was absolutely hilarious! And the judges knew he was fibbing too! The bakers chose a variety of plait levels with Michael sticking to 3 strands and Tom going for 6. When it was judging time, Jane did very well, as did Tom, Kate and Benjamina. 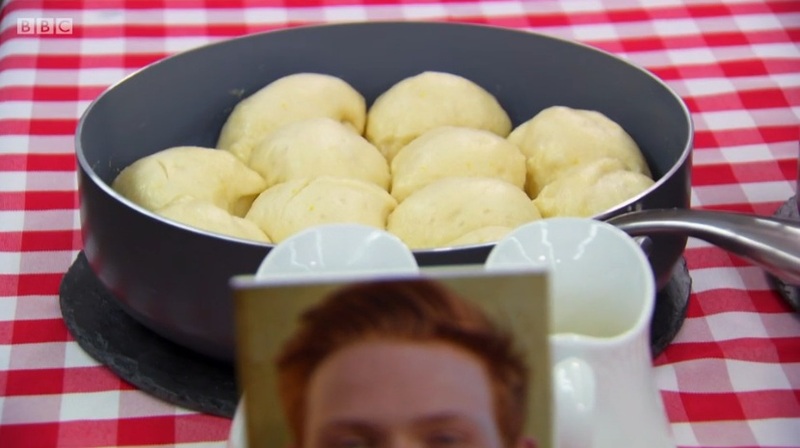 Val’s Noah’s Ark centerpice was undercooked, and the judges didn’t like the texture of some of Selasi’s bread. Paul also didn’t like anything about Candice’s top loaf of plaited bread. Michael left us this week. Paul and Mary didn’t like the presentation or plaits of his bread centrepiece. He didn’t do as badly as others on the first challenge and he was mid-range in the technical so I was very surprised by the decision. Tom won star baker this week. I think it was quite a tough choice this week for both the star baker and leaver as there were so many ups and downs for all of the bakers. 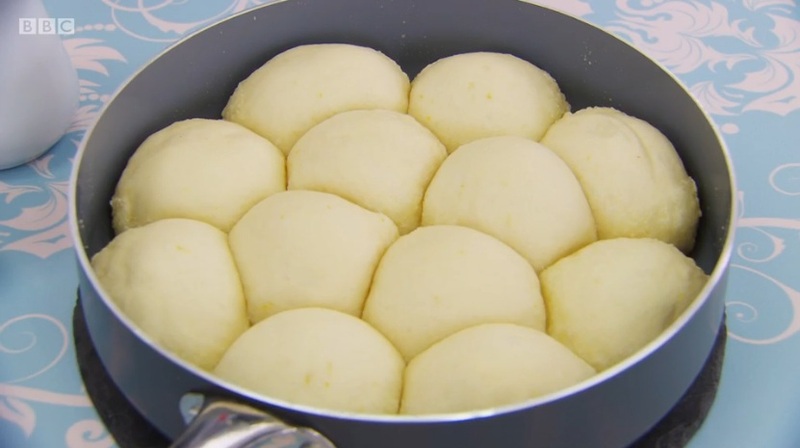 Next week is a new category on Bake Off – batter week! I decided to try a plaited loaf this week. I’ve never made one before so I wanted to start with the basics. I used a Paul Hollywood recipe to give me the best chance possible! I have made bread and different doughs in the past, but I rarely have time to make it so it’s not something I do very often. To start, I put strong white bread flour in a bowl. I added salt and fast action dried yeast, making sure to keep them on separate sides of the bowl. Then I added olive oil and water and mixed it together to form a dough. I used some of the new products from the Joseph Joseph baking range that were sent to me recently to try out. The Fin Silicone Bowl Scraper helped me mix the liquid into the flour for the dough. And I used the Roll Up Non-Slip Silicone Pastry Mat to knead the dough on and when rolling it out. I kneaded the dough for 10 minutes, then placed it into an oiled bowl and left it to rise for 1 hour. The dough didn’t rise as much as I was expecting, but I persevered. I knocked it back then divided it out into eight pieces. I rolled each piece into a long strand approximately 40cm/16″ long. It wasn’t tricky to follow the plaiting sequence, the thing I found the most difficult was making the plait look neat. I chopped off any strands that were too long once the plaiting was done and tucked the end under to neaten it up as much as I could. Once I was finished I put it onto a lined baking tray, covered it loosely with cling film and left it to prove again for 1 hour. I used the Joseph Joseph Glaze Refillable Silicone Pastry Brush to glaze the bread with beaten egg. It baked it on 200C/400F/Gas Mark 6 for 25 minutes until it was golden and sounded hollow when I tapped the bottom. I thought the Eight Strand Plaited Loaf looked really impressive, I loved the golden crispy crust and soft middle. I am aware my Eight Strand Plaited Loaf ended up with some technical faults, but I was very pleased with it for a first effort! The Eight Strand Plaited Loaf has a fantastic appearance and it was fun to make a plaited loaf and try the technique out. I enjoyed slices with butter and my boyfriend relished it dipping chunks of it in some soup. NB. I was sent the Joseph Joseph products for free, all opinions are my own. Your loaf looks so shiny and beautiful – the plait is so well made too. I bet it smelt and tasted amazing! ps. i also laughed at the wearing loafers gag! What a gorgeous loaf Kat, the plaiting is wonderful! Also impressed that that was made with 500 g flour, mine was too and it was difficult to get all the strands long enough even when I weighed them! Thank you! I wasn't that confident about my plaiting so that'd great to hear. Yes the strands were tricky, some of mine ended up longer and shorter as I plaited. Looks really good, the plaiting is stunning. Well done. I didn't either, luckily I had Paul's instructions! Thank you, bread always makes me nervous! This is so impressive and the plaiting looks perfect. There is nothing quite as beautiful as the aroma of the freshly baked bread. Thank you! I always find it helpful to show the stages, they do say a picture says a thousand words!